HTML 5 is the latest version of hypertext mark-up language (HTML) the code that is used to describe web pages. It is used for structuring and presenting content to the World Wide Web. As the number indicates, it is the fifth and the latest version of the HTML standard. It currently exists in two general forms – one which is intended for content developers and the other which is intended primarily for web browser developers. The major objective of HTML 5 is to improve the language and its support for multimedia other new features. Its main job is making the language easily readable for the user as well as the computer and other devices such as web browsers, parsers, etc. One can see the common inclusion of processing models to encourage more interoperable inclusions. It is enabled mark-up for an application programming interface (API) for complex web applications. Due to its extensive application support, it is a major candidate for cross-platform support application. Html 5 has introduced elements and attributes which one can easily find in modern day websites. New APIs are added to enable the users in enjoying high-end multimedia and have also enabled browsers, and other webpage services in understanding customer need well. These new APIs can be used with existing JAVA scripts as well as the document object model. There are various new additions to APIs such as canvas, offline, editable content, drag and drop, history, MME type, microdata, web storage, etc. According to a recent report html5 has been widely used and worlds top 100 websites use html5 thus making it a popular developers platform. 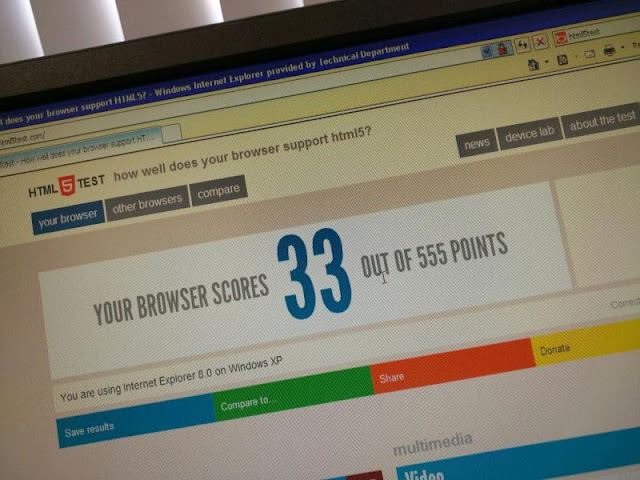 Why does a company require its developer to be tested on his skills in html5? The html5 test should be done before recruiting a candidate for a job of a programmer and a webpage developer because html5 is the latest version of the HTML and it would help in scrutinizing a candidate based on his knowledge of Html 5 Test. It would enable the company in judging the candidate's knowledge when it comes to programming based on html5 developing web pages as well as multimedia-based applications using html5 as a platform for creation. The company can easily assess the candidates’ knowledge and deem him fit for selection or not. Whether the candidate requires to be trained in a certain sector of this application or he is the missing piece of a jigsaw puzzle to be exactly fit in the company’s web development department can be easily understood from his performance in the test. The test may be modified on company’s requirement, whether the company wants an expert in the field of html5 or a beginner would suffice is decided by the company solely. The test is then edited making it performable by the beginner when a beginner is to be hired. In case of recruiting an experienced executive in the field of html5, the questions are twisted and made more complicated to make the test suitable for the recruitment of an experienced programmer. Practical problems can be added to the test, and the test can be made divided into two different sections, one comprising multiple choice questions and other of practical questions whose solution is to be found by coding a programme or errors in a programme are to be rectified. The benchmark score may be decided which has to be attained in order to qualify for the next round of screening. In case of recruitment of a senior developer, it may consist of another test which would be tougher than the preliminary test cleared in the first round. In case of a beginner once the benchmark score is achieved he would face interview rounds where his skills would be tested according to company criteria. These tests can be conducted in company premises where candidates would be called for screening and system would be allotted to them for performing the test. The experienced proctors would be positioned at the centre to provide technical assistance in case of any difficulty making the screening process function smoothly. The result of this test can be assimilated as soon as the test is over and the company can easily select from among the group of candidates based upon their performance in the test. This makes the screening process more transparent and less time consuming for the company saving a lot of its resources and money. The recruiter expects its candidate to be able to attend the test and perform wisely at least knowing the basics of coding in html5 one must be well versed with its applications and uses in case of applying for the job of a programmer. Why are companies more inclined towards these tests nowadays? More and more software and application developing companies are hiring html5 test creators as it makes their job of recruitment easy. There is a test for the screening process of the candidate performed by the test creators thus when a candidate would face an interviewer. The interviewer expects the candidate to be aware of the basics of html5 rather them hi being a clean slate who would waste company resources and one’s time. The candidates being selected after such a screening process fit the company’s job profile more often than not, requiring less training and help in saving the time taken to train an amateur.